A Home Performance with ENERGY STAR® assessment includes a thorough explanation of your electric bill and a complete review of your home. We translate the complex language of energy efficiency into clear, simple terms. The audit typically takes 4 to 6 hours. levels of your oven, heater, and other equipment using oil, natural gas, or propane. Blower door leakage testing to assess your home’s airtightness. Direct install measures – energy-efficient CFL light bulbs, water heater pipe insulation, low-flow showerheads, low-flow faucet aerators, and smart power strips. 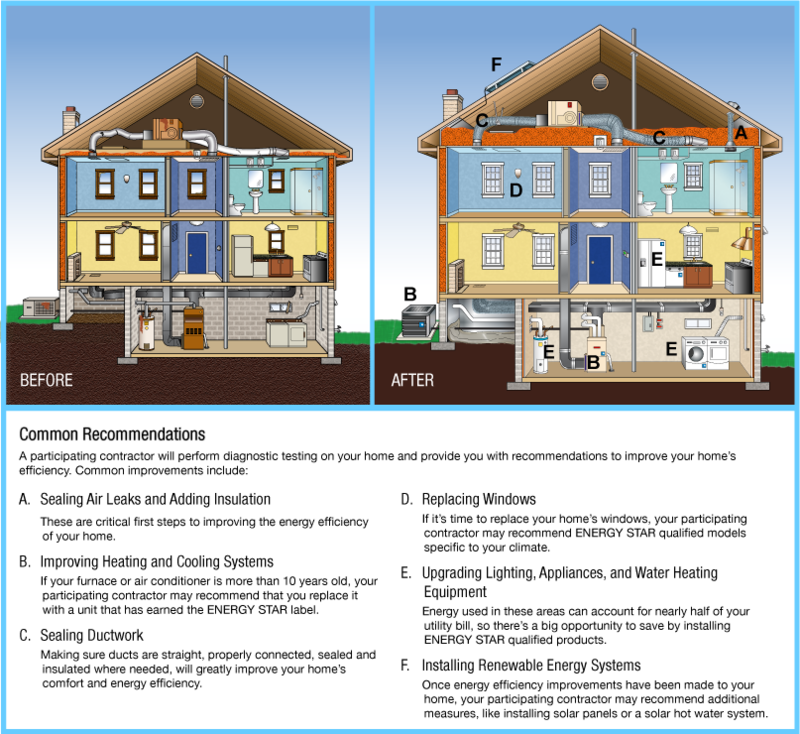 After your home energy audit, you’ll receive a customized report with recommendations for saving energy. We’ll even estimate how much money you’ll save by making improvements. We recycle and reuse any materials that might be disposed at end of the project. Count on us as your trusted resource to help you save energy, money … and the environment!